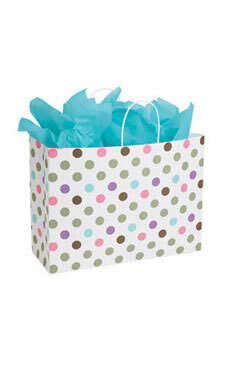 Add a colorful style to your store with our Playful Polkadot Paper shoppers! These bags have a white background featuring pink, purple, chocolate and green polkadots for easy coordination with our tissue paper. Sold in cases of 25.